Every summer LOESS holds a geode cracking party. 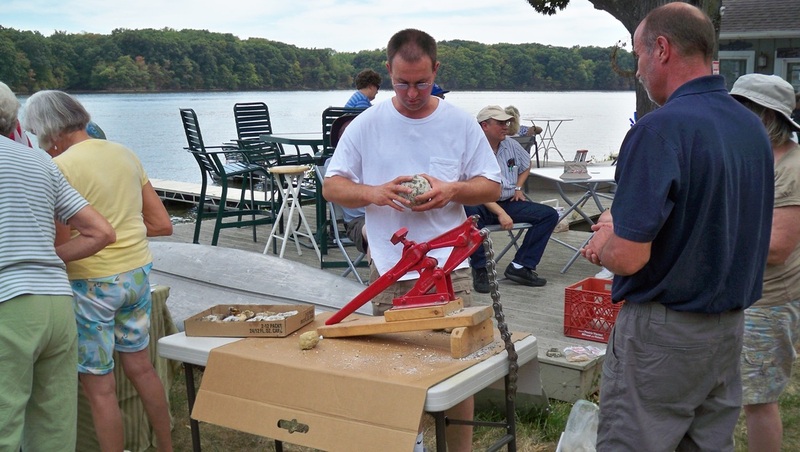 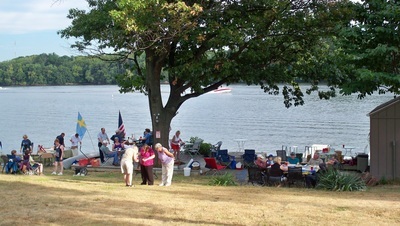 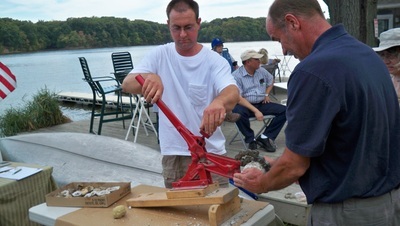 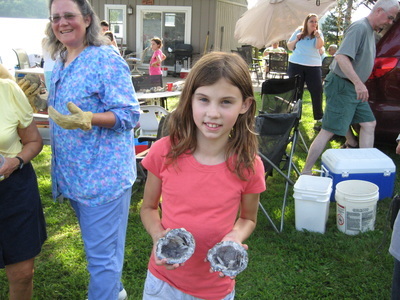 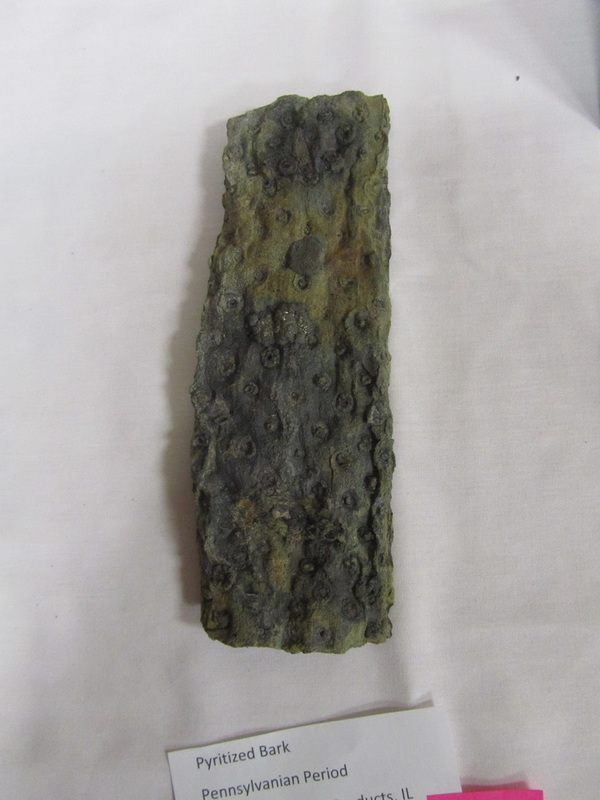 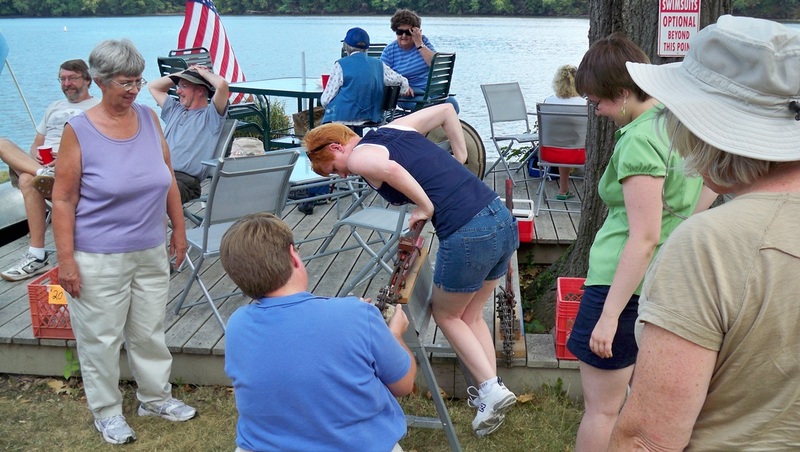 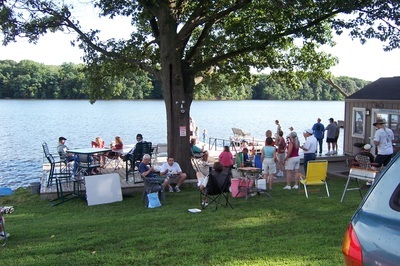 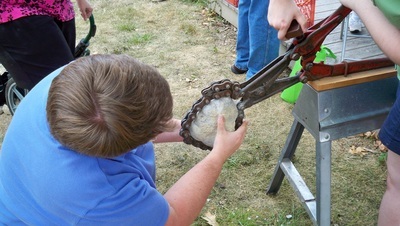 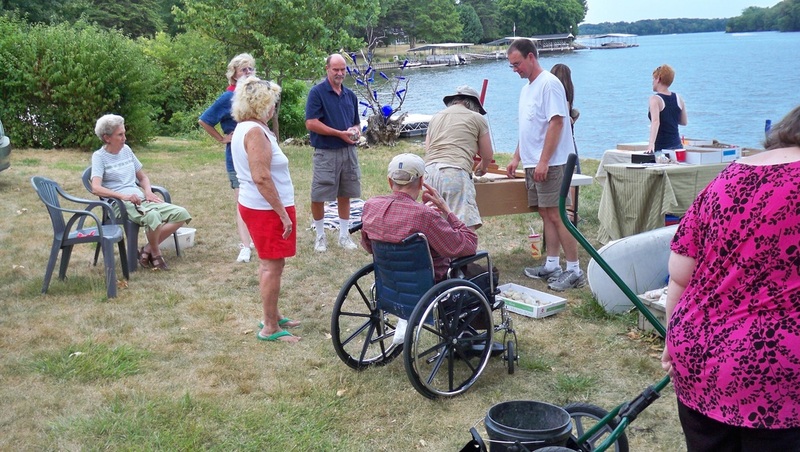 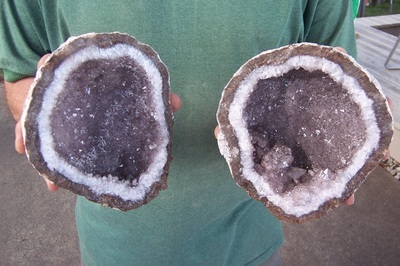 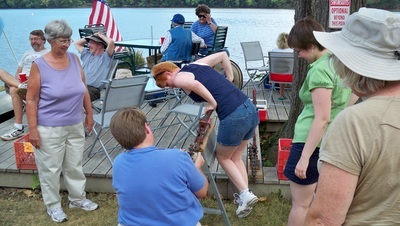 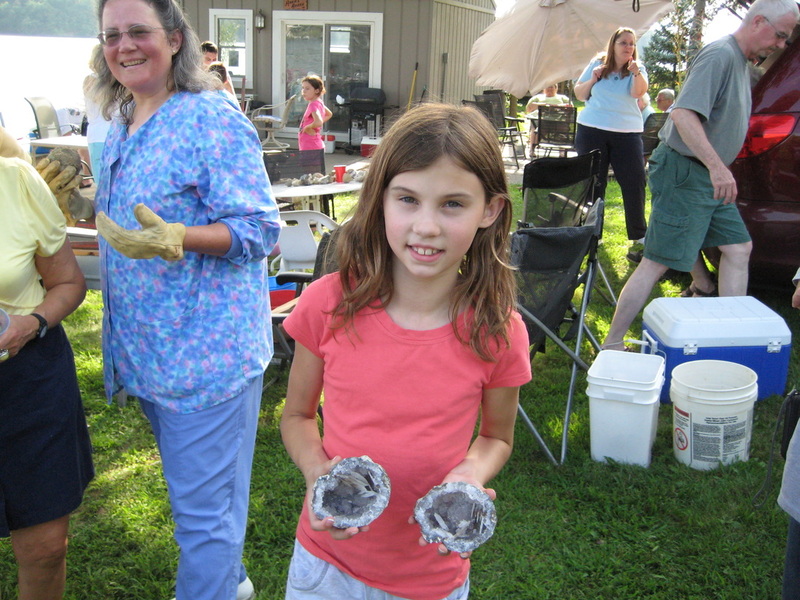 Held at a member's house on Lake Springfield, members can bring their unopened geodes and get them cracked. 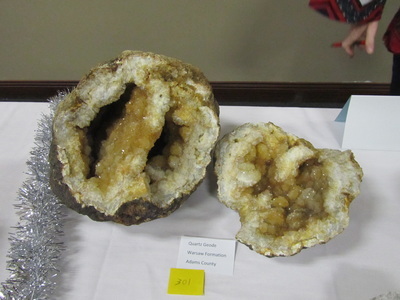 There is lots of fun, conversation, and laughter while sharing our potluck and seeing what surprises the geodes hold. 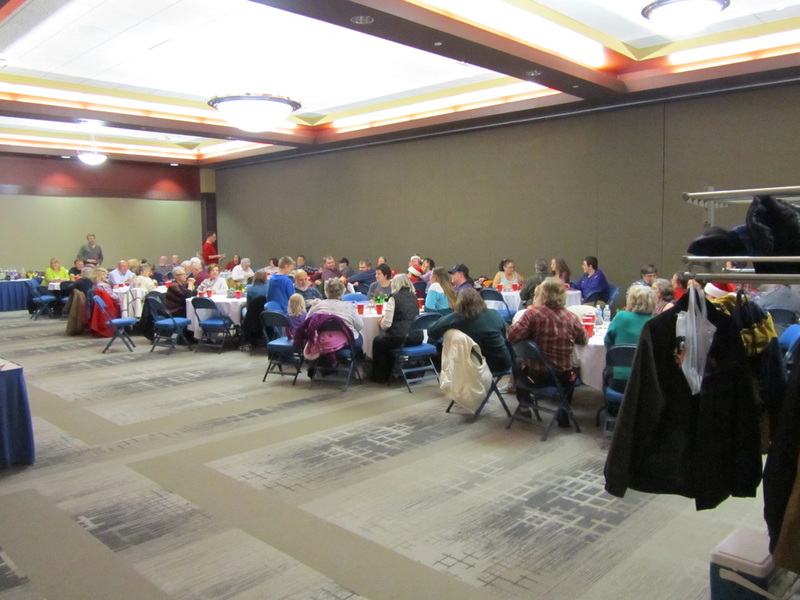 LOESS hosts a Christmas party in place of the December meeting. 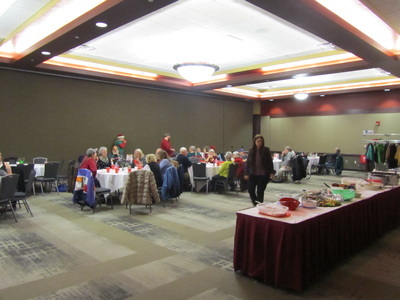 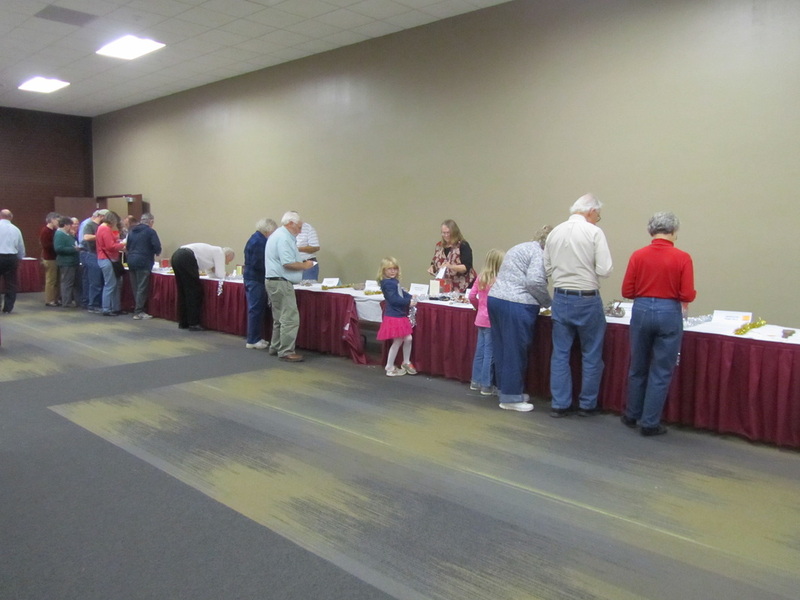 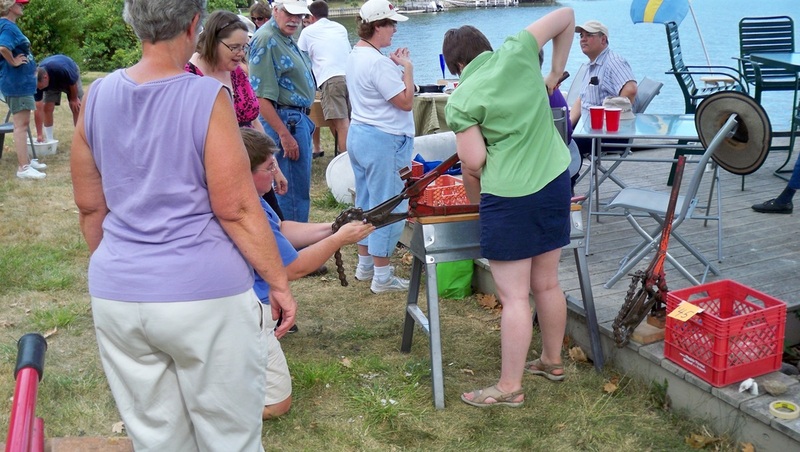 There is catered food as well as dishes brought to share, party games like Rocky Bingo and Mineral Dig, door prizes, and the Best Finds Contest. 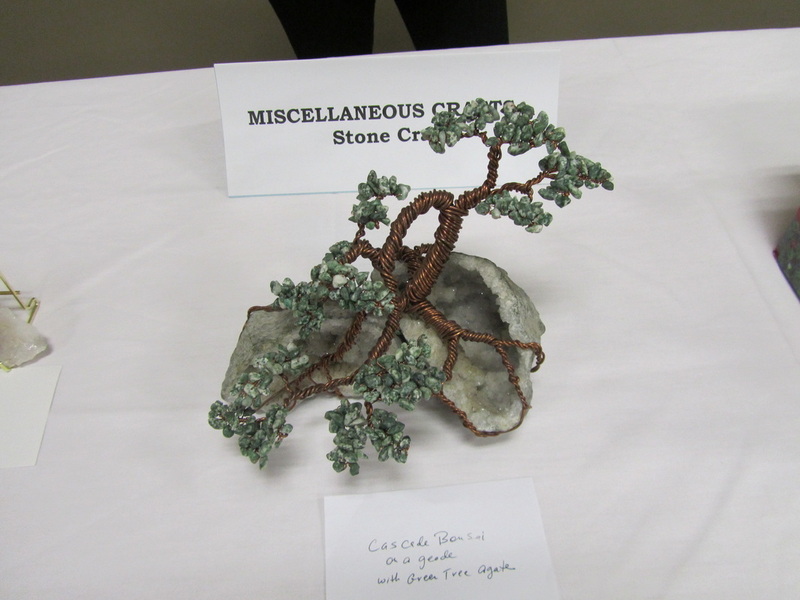 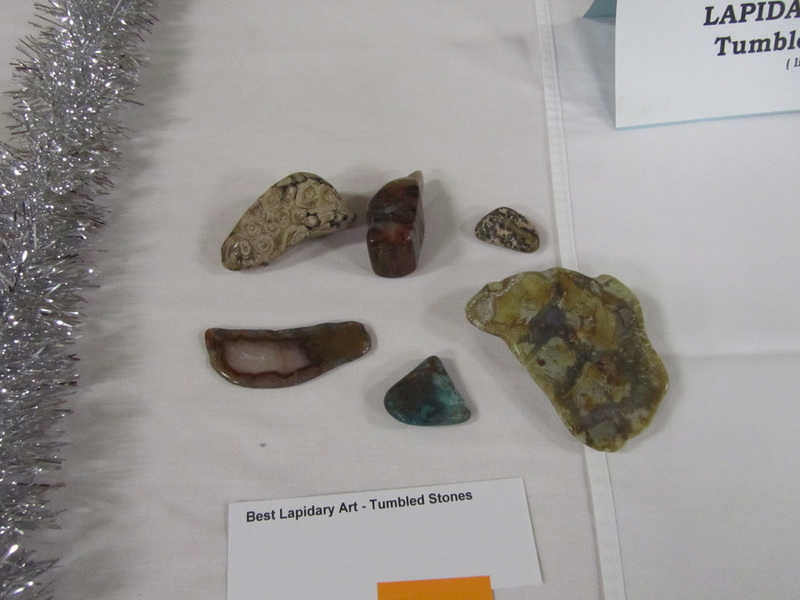 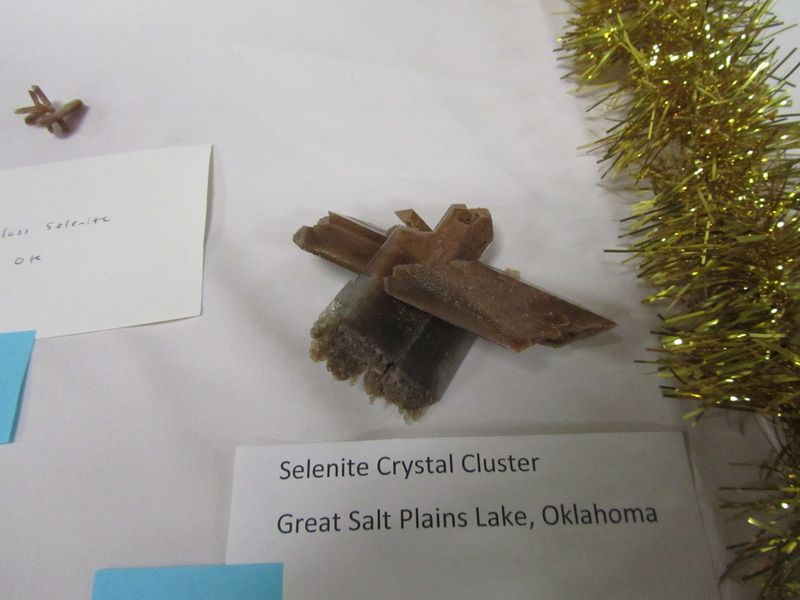 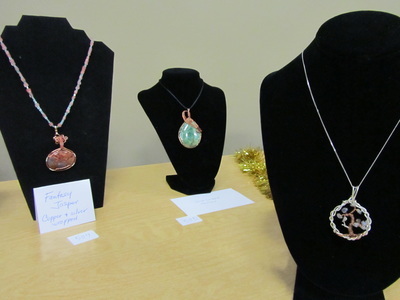 This is where members can enter collected minerals and fossil specimens, handmade jewelry and other stone crafts, junior entries, and nature photography!